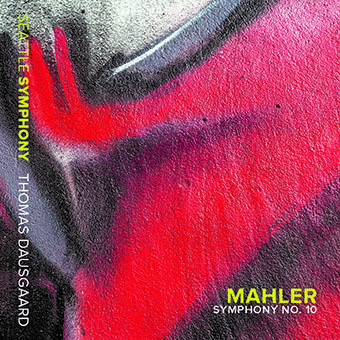 Thomas Dausgaard’s recording of Mahler 10 with the Seattle Symphony has been selected as Europadisc’s Disc of The Year. The accolade rounds off a fabulous year for the recording, and Mr Dausgaard, which was also selected as one of iTunes Best of 2016 and Gramophone’s Recording of The Month. “Much the same could be said of another disc of ‘old world’ music from a ‘new world’ orchestra: Mahler’s Tenth Symphony in a devastatingly powerful recording from the Seattle Symphony and Thomas Dausgaard of Deryck Cooke’s ‘performing version of the draft’. This is a performance of huge conviction and outrageously good musicianship which makes a devastating impact, the antiphonally divided violins and carefully miked recording opening up new layers of textures in the score. The only danger (if danger it be) is that the listener entirely forgets the putative nature of Cooke’s achievement. Controversy will no doubt continue as to the ethics of this ‘completion’, but this is undoubtedly the finest recording the score has received in this form, which (given the quality of some of the competition) is saying much.